To bolster the union between the butterfly catch support block and the edge of the catch rail install a pair of '/2-inch dowels. To fit the dowels, first drill two Vi-inch holes in the block, perpendicular to the angled face, to a depth of about 3/i inch. 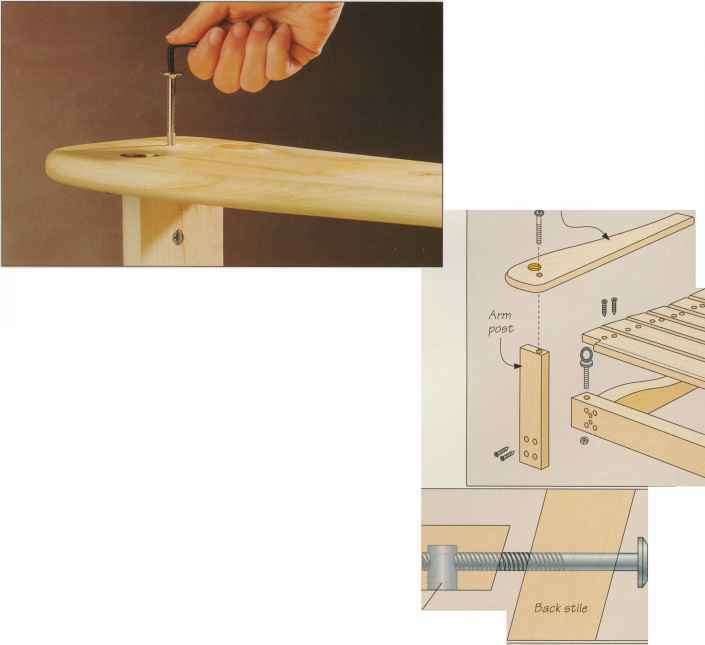 Place dowel centers in the holes and bring the catch rail into position (left)- Push down on the rail to mark the dowel holes. Drill 1-inch-deep holes in the rail. Spread glue inside the block holes and tap two IV2 inch long dowels into place. Then screw the butterfly catch to the rail and support block. The photograph on page 79 shows the catch in operation.